Smooth, sleek, rich. If that’s you, you need a shoe to match. 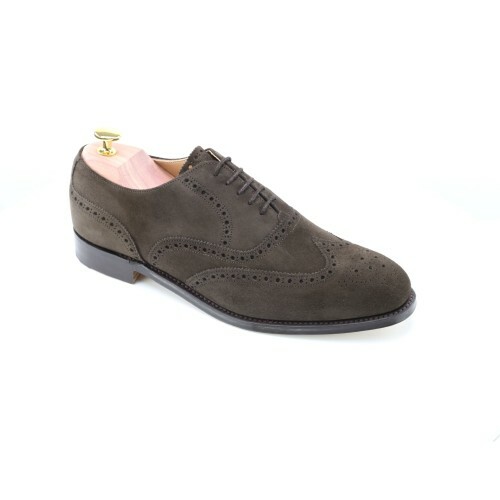 Try the Bute, a classic Brogue in Chocolate Suede. “’Kindly do not look down your proboscis at me in that tone, Jeeves, these are brogues! Not the black, shiny Undertaker’s Ball version about which you have such a fetish - instead, Bertram has plumped for these decidedly more nonchalant BUTES in Chocolate Suede. I saw a pair on some young fellow down the King’s Road and said to myself: ‘Ab.., ab…’. It’s on the tip of my thingummy…. No, Jeeves. Not ‘Absconding bookie”. ‘Absolutely spiffing!’ was what I was looking for!’ - From “You’re Sacked, Jeeves!” (1952), P.G. Wodehouse.